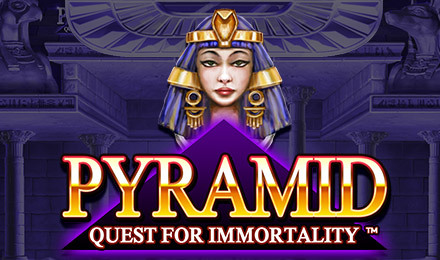 Play Pyramid: Quest for Immortality Slots today! Login now and play Pyramid: Quest for Immortality Slots! It’s packed with exciting features and bonuses! Journey back in time and get ready to win big! Visit the pharaohs and gods of Ancient Egypt when you play Pyramid: Quest for Immortality Slots. This online video slot game has 5 reels and 720 win ways, giving you loads of chances to win! The game’s RTP is 96.48%, the Wild can appear on reels 2-4, and you can get extra Wilds with the Wild Generation Feature. The reel symbols fall from the top and explode & disappear when a winning line is made, plus there are multipliers in the Avalanche Multiplier Bonus.